Lending & Finance Technologies (LF TECH) has just launched on the marketplace and offers you the opportunity to invest in its short-term consumer loans issued in Kazakhstan. The company is one of the leading short-term lenders in Kazakhstan and now lists its loans on Mintos in EUR and KZT for investment. Don’t miss this great opportunity to earn net annual returns of up to 18% for its KZT loans and up to 11% for its loans listed in EUR! The company started its operations in 2012 when it opened its first branch. Since then, the group has opened 130 branches across the country, established its online product with an application review that’s less than 15 minutes, and expanded its presence in the Russian market. It aims to give its customers an individual approach, fast service and convenience when using its product. These benefits have attracted over 500 000 unique customers in Kazakhstan. The average Kazakhstan-issued loan from LF TECH is EUR 100. The repayment period is up to 30 days and borrowers repay their loan in a single instalment. You can expect an annual net return of up to 11% for its loans listed in EUR and 18% for its KZT loans. In the future, LF TECH also plans to increase its offering on Mintos and place its car, and pawnbroking loans for investment. All loans from LF TECH are secured with a buyback guarantee and will be repurchased if the loan is delinquent for 60 days or more. In addition, to ensure the interests of the loan originator are aligned with investors, the company will maintain 15% skin in the game. The company is 100% equity funded, hence, maintains a very strong balance sheet position. 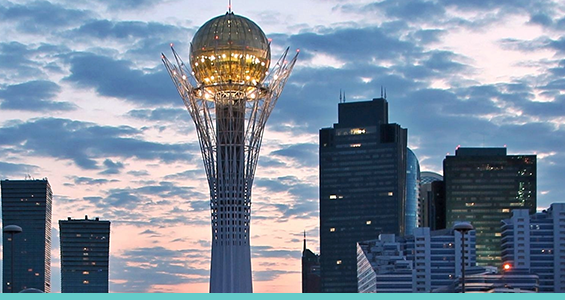 Since 2012, it has disbursed around 1 252 000 loans in Kazakhstan worth EUR 122.3 million. At the end of September 2018, its net loan portfolio amounted to EUR 19 million. The company expects stable growth and profits for future years in its home market and Russia, as well as plans to continue its expansion in South East Asia. Don’t miss out on this great opportunity to invest in LF TECH Kazakhstan-issued short-term loans! If you use Auto Invest then make sure you update your settings now.